Fuel Management Systems provide the ultimate in fuel security. 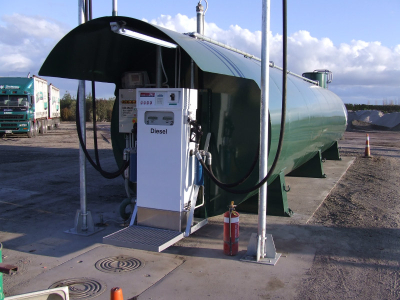 Being able to ensure that only the personal you allow to access the fuel, can reduce operating costs, through minimizing miss-allocation of fuel or even theft. Designed & manufactured in New Zealand this pump controller can be retrofitted to existing dispensing pumps or installed with new fuel transfer pumps. Designed & manufactured in New Zealand these pumps are the leading dispensing pumps for re-sale installations, installed world wide. The system is access with swipe cards or i-Buttons. Transactions can be printed out on site, downloaded via comm's cables or uploaded to a secure on-line web database. As an installation partner we can supply & install a Compac system to suit your requirements. Please contact us for more information.